Bride and Luci at her graduation. There is hope for social transformation- it can be seen when small changes happen in people’s lives as they deal with huge obstacles. Luci’s story is a clear example. Living in a rural village in Brazil Luci became pregnant at 15 years. She left school, her family insisted on her marriage to the father of the child. They had 2 children, it was not a happy marriage. Luci continued to dream of a better future. In a nearby town Misean Cara funded a missionary to develop community work. The women of the town saw children searching for food in rubbish and in what had been discarded from the supermarket. With the missionary they formed an Association to try to come to grips with some of the most pressing social problems of the town. They set up a preschool providing a daily cooked meal and education for the children Then they became active against the privatisation of the public water system. The missionary came to Luci’s village and Luci took part in organising a basic Christian community, linking Faith with life. As Christians they became aware of the need for action in the reality of their living conditions and the need for clean water. A four year part time course combining organisational skills, social justice, scripture and theology began in the village. Luci took part in the course for two years and was very energised by it. Due to pressure from her husband and family she withdrew. With great courage she moved with her children to the town, the Association supported her, she was given a loan to buy a small house and completed her education by night. She was then enabled to do a computer course leading to qualification as a computer teacher. To do the course Luci was given a lift twice weekly on a motor bike to a town 40km away. She began to work with the Citizens Forum, that was involved in citizens rights, action against privatisation of public water and involvement with the annual municipal budget. By studying citizens rights via the Internet she developed basic courses for over 200 members of the Forum in local villages. After 6 years working voluntarily for the Association Luci made another move. 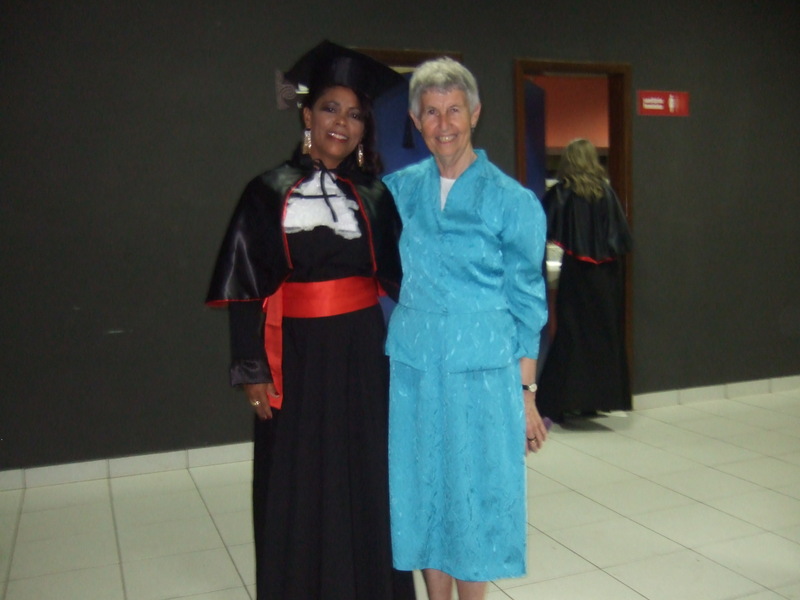 She applied for a place to study law at the university of Feira Santana 300 km away. She studied for 5 years, coping with great loneliness because her children lived in the village with her mother and she was separated from friends and colleagues. A person of great faith, Luci was confident that God was with her in all her challenges. A Student Fund was created for her and some funds were received from donors in Ireland giving her financial resources to help her complete the course. With great joy Luci graduated on 19th March 2016, her story is a wonderful testimony to the resilience of the human spirit and the importance of solidarity and friendship. Misean Cara supported one missionary with a one yearly grant of €15,000, through her a range of small developments and initiatives grew among the local people such as the Association and Forum, both central to Luci’s story. She received support and encouragement when she needed it most and in turn she contributed greatly to them and the further development of people. The task now is for Luci to find employment as a lawyer so that she can give a voice to victims of injustice and continue to spread hope.